Do you have a recipe that you make ALL the time and it is always a huge hit at parties? 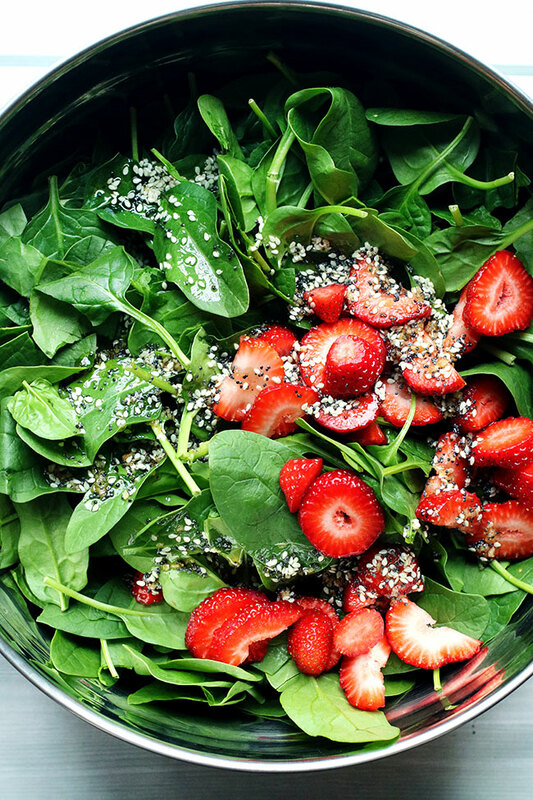 Well, my Strawberry Spinach Salad with Poppyseed Dressing is that recipe for me! So, when I set my goal in March to make my FIRST short form video, I KNEW this was the recipe I’d try it out on. I am really proud of this video, even though I know it’s my first one of this kind and I’m still learning all about video. I was using iMovie for my unboxing videos, but this short form video was done completely in Adobe Premiere! I still have a lot to learn in Premiere, but since I already pay for Adobe Cloud and several Adobe products, I figured it was about time I dabbled in it! 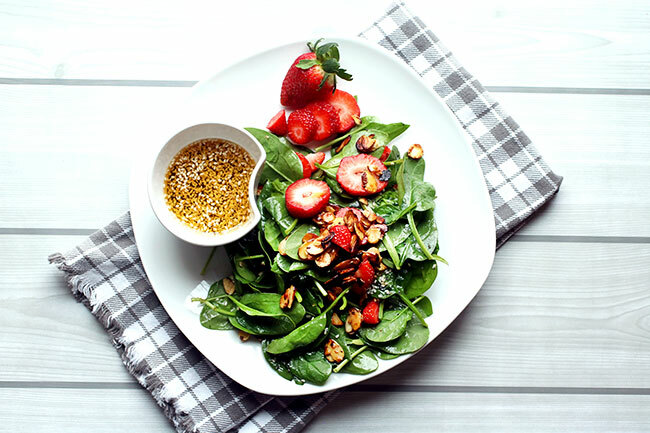 Here is my video for the Strawberry Spinach Salad with Poppyseed Dressing. I’d love for you to watch, like, share… I’ll appreciate any love and support! 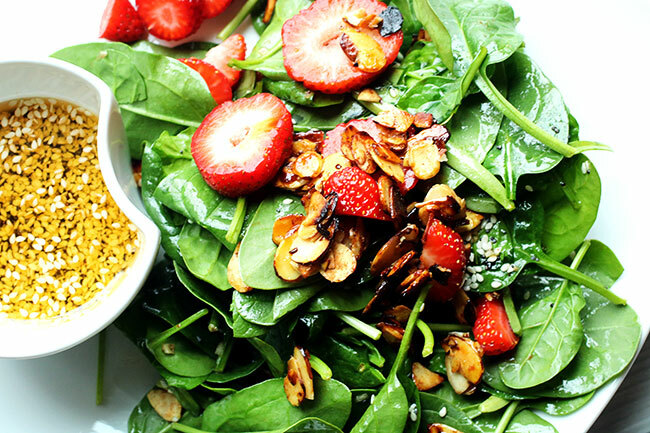 What makes this salad SO fabulous is the homemade candied almonds. I am not a big nut person, but these candied almonds are delish… YUM! 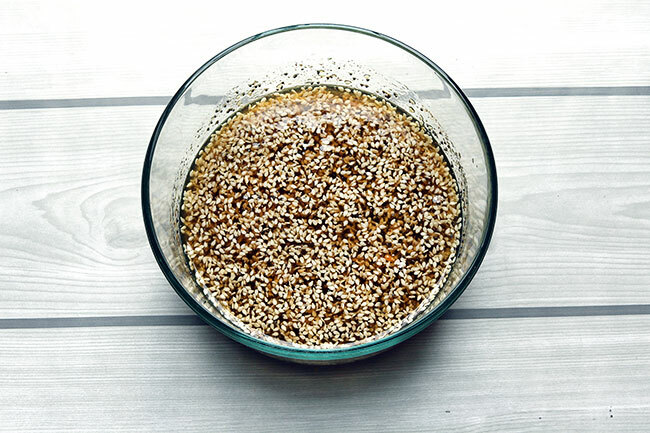 You also make your own poppy seed dressing for the salad. 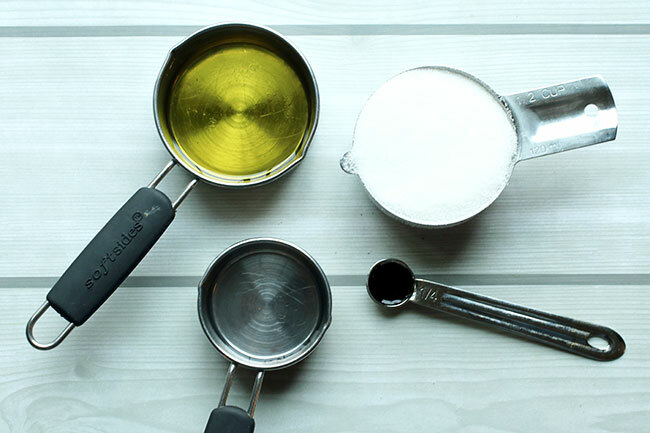 Homemade dressings are SO tasty (and healthier) than the bottled stuff! 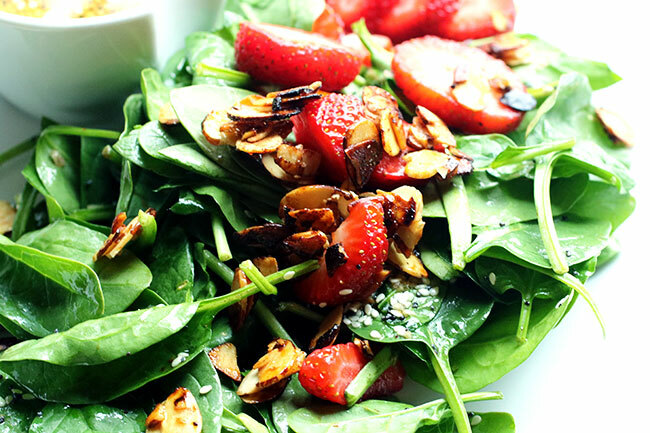 This salad is DELICIOUS… it looks fancy, yet it is so simple to make. 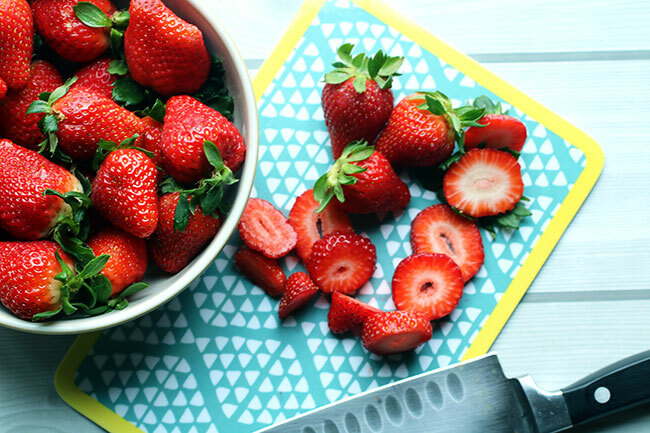 Perfect for any party and will be especially good once strawberry season is upon us next month! Set out a piece of waxed paper for the finished almonds to cool on. 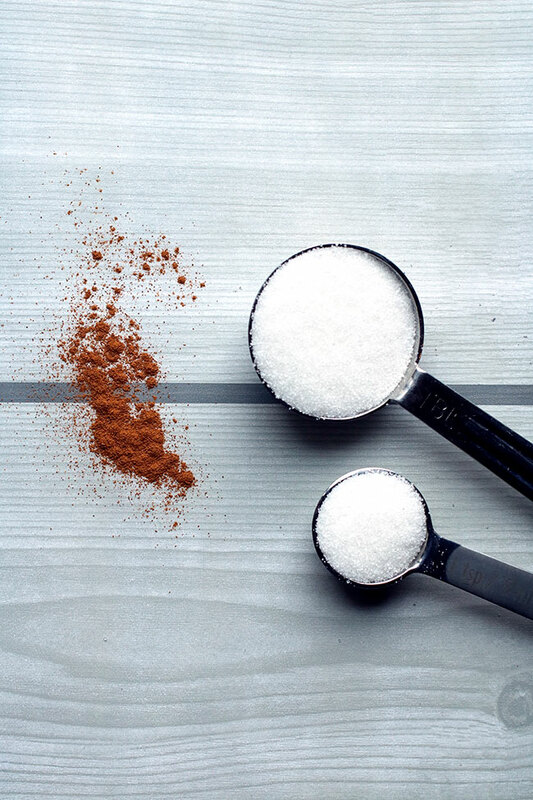 Sprinkle the sugar evenly over the bottom of a pan with the heat on high. When the sugar starts to melt, turn down the heat to medium and add the almonds. 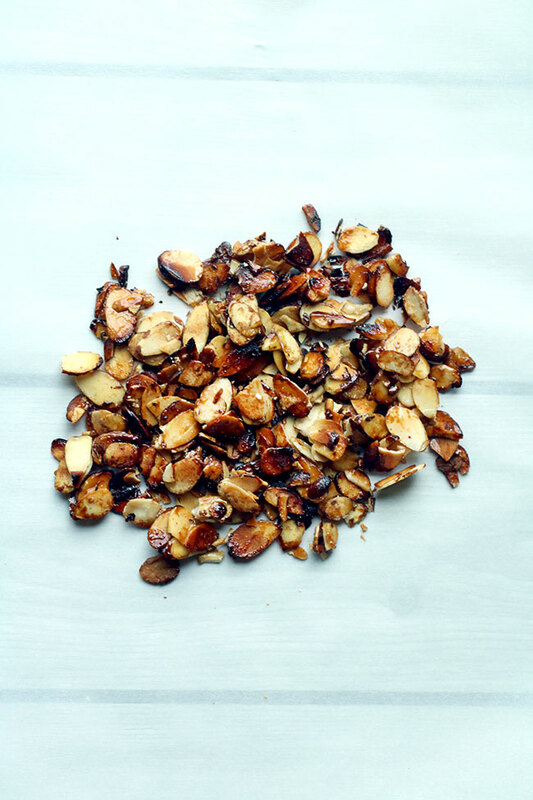 Stir constantly until the almonds start to look shiny and continue to stir until the almonds start to brown. Sprinkly lightly with cinnamon and stir. Transfer to waxed paper to cool. Break apart with fingers once cooled. 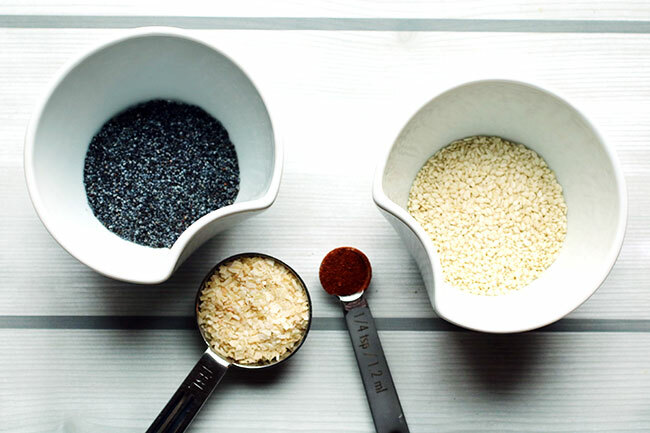 In a medium bowl: whisk together the two seeds, paprika and minced onion. Also add the olive oil, sugar, oil, vinegar and Worcestershire sauce. Stir. 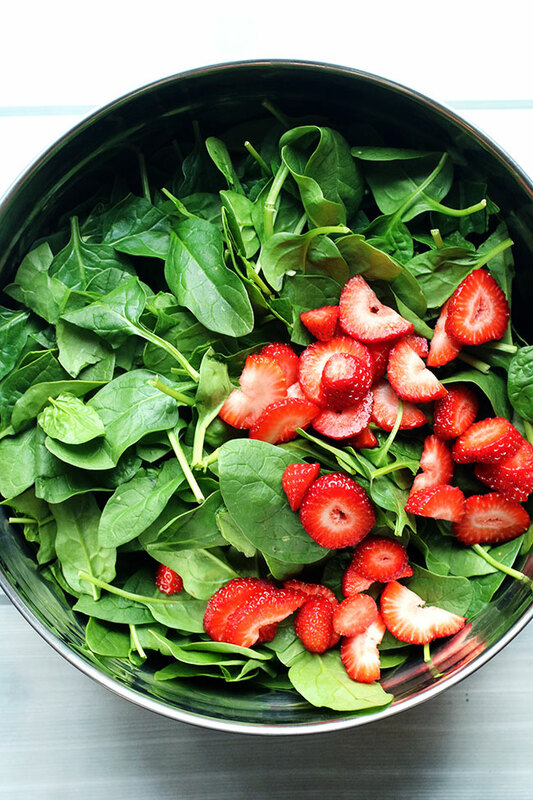 In a large bowl, combine spinach and sliced strawberries. Pour dressing over salad and toss. 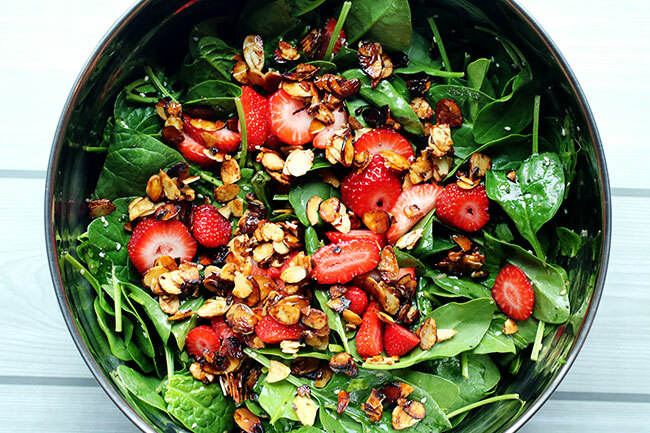 I add some more strawberries and all the candied almonds to the top of the salad to finish it off. 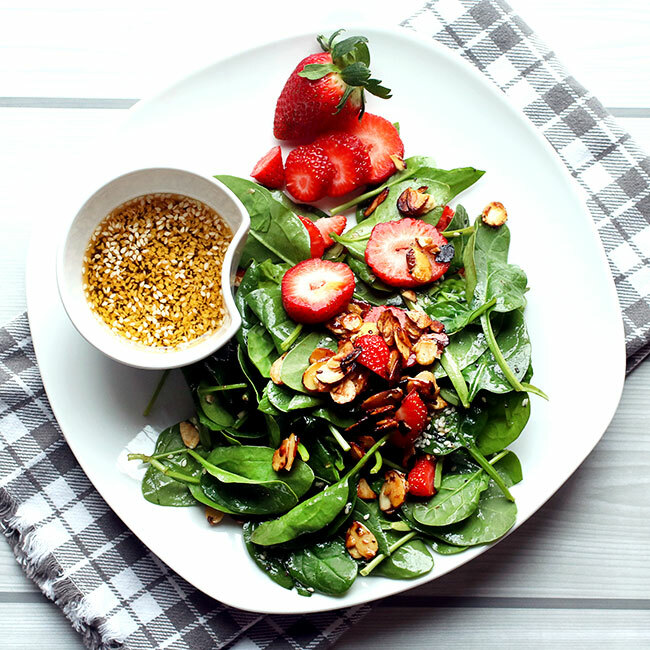 I love to serve this salad on a plate with a small container of extra dressing and some cut up strawberries. It is sure to please. I hope you enjoy this salad as much as I do! What is your favorite salad to prepare?